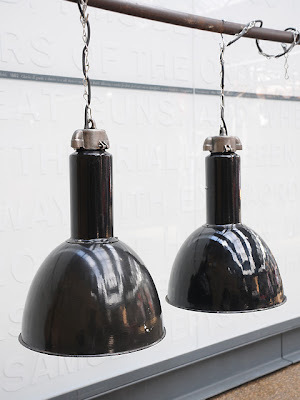 Pair of salvaged black pendant lamps with long necks. Czech, c1950. 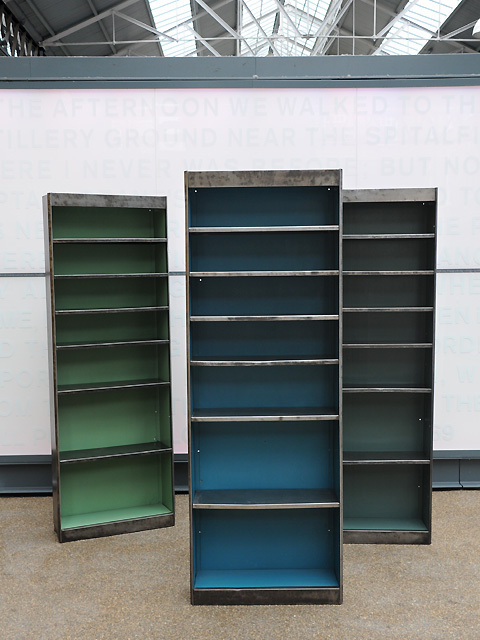 Vintage polished steel shelving removed from a workshop. UK, c1960. 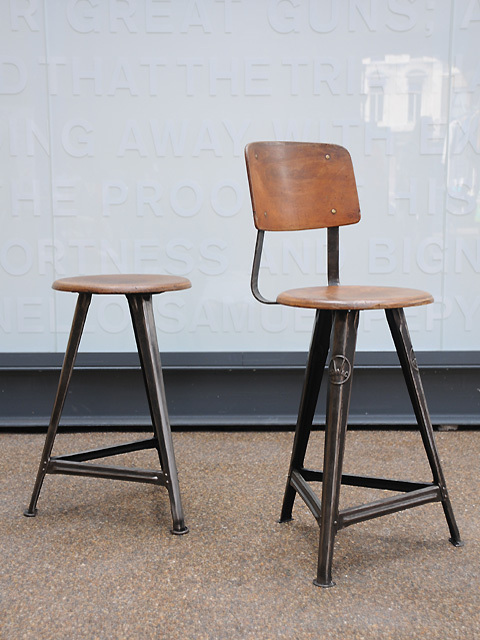 Rare pair of 3 leg rowac stools from the Bauhaus factory. German, c1930. We are now on facebook. 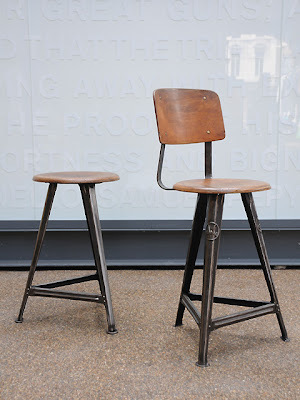 Visit our new page. Give us a thumbs up and join our group if you like what you see!